. ببساطة كل الخدمات وأساليب الضيافة التي تشتهر بها StayWell Hospitality Group تجعلك تشعر وكأنك في بيتك. يقدم الفندق واي فاي مجاني في جميع الغرف, مكتب الاستقبال على مدار الساعة, تخزين الأمتعة, واي فاي في المناطق العامة, صف السيارات لضمان الراحة القصوى لضيوفه. تعكس غرف الفندق البالغ عددها 86 المنتشرة في 24 طوابق جواً من الدفء والألفة.خدمات عصرية مثل غرفة معيشة منفصلة, تلفزيون بشاشة مسطحة, اتصال لاسلكي بالإنترنت, اتصال لاسلكي بشبكة الإنترنت (مجاني), غرف لغير المدخنين موجودة في بعض الغرف المختارة. يقدم الفندق مجموعة واسعة من وسائل الراحة المتنوعة، كمثل: مركز للياقة البدنية, حمام سباحة خارجي. اكتشف مزيجاً ساحراً من الخدمة الاحترافية والخيارات الواسعة من وسائل الراحة والمتعة في Park Regis North Quay Hotel and Apartments. يتبع هذا العقار سياسة صارمة بمنع إصدار ضجيج. يحتفظ العقار بالحق في طرد أي شخص تحت تأثير الكحول وغير ملتزم بالنظام العام في جميع الأوقات. أجر إضافي يتراوح بين0.8% و 3.5% سينطبق عند استخدام بطاقة إئتمانية. لمزيد من التفاصيل برجاء التواصل مع العقار. لا يؤدي الدفع نقدًا أو عبر EFTPOS إلى تكبّد رسم إضافي. 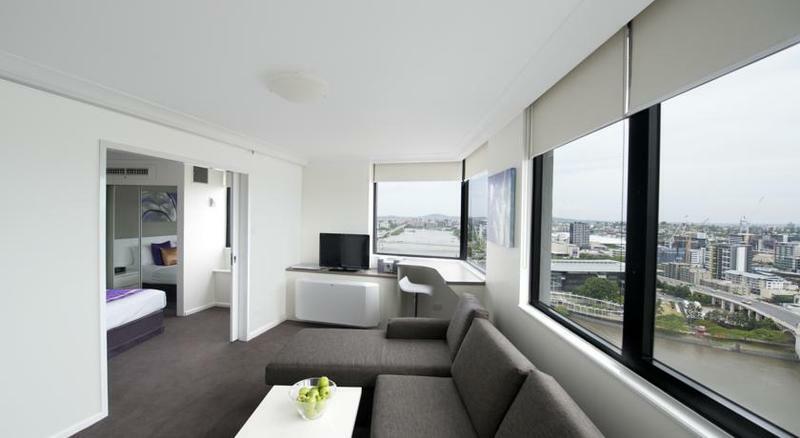 Nice 1 bed apartment with view over the Brisbane river. Facilities were good, not 5* however for the price paid & central location I was more than happy with my choice. Would happily stay again & recommend. Close to everything you need and great view from the 23rd floor, the room was nice and clean though the lift carpet needs to be replaced. The breakfast was pretty standard, and just a suggestion kitchen staff I think your tea and coffee cups need to be hand cleaned every few weeks as their we many that had tea and coffee stains from just being thrown into a dishwasher. We will probably stay again because of the great location. Motel is very close to everything which was good & handy. Parking is the worst, $30 just to park your car & barely being able to get in and out with how tiny it was. Bedsheets didn’t seem clean, there was also bugs in our room. Staff make you feel uncomfortable. 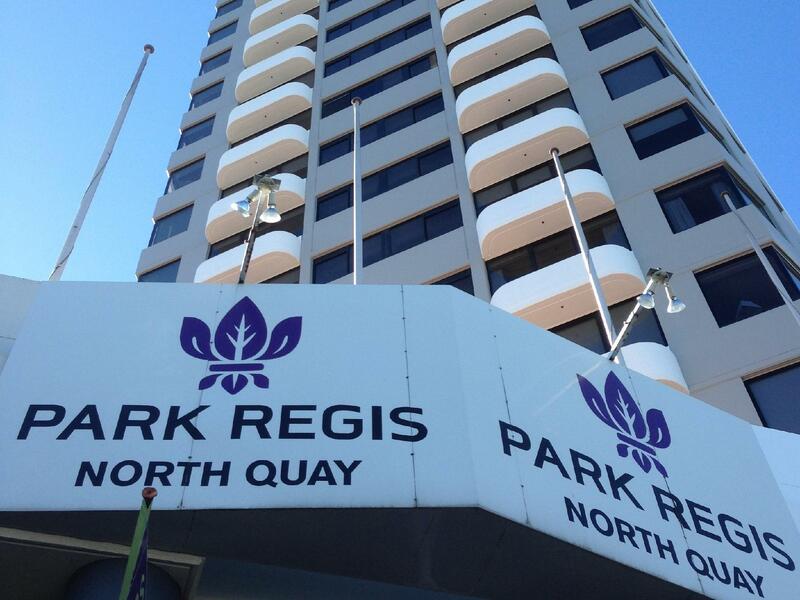 Enjoyed my stay at Park Regis Hotel in Brisbane. The staff were very helpful and very lovely. Apartment was clean and tidy, could use an upgrade but overall worth the price and was very, very good. 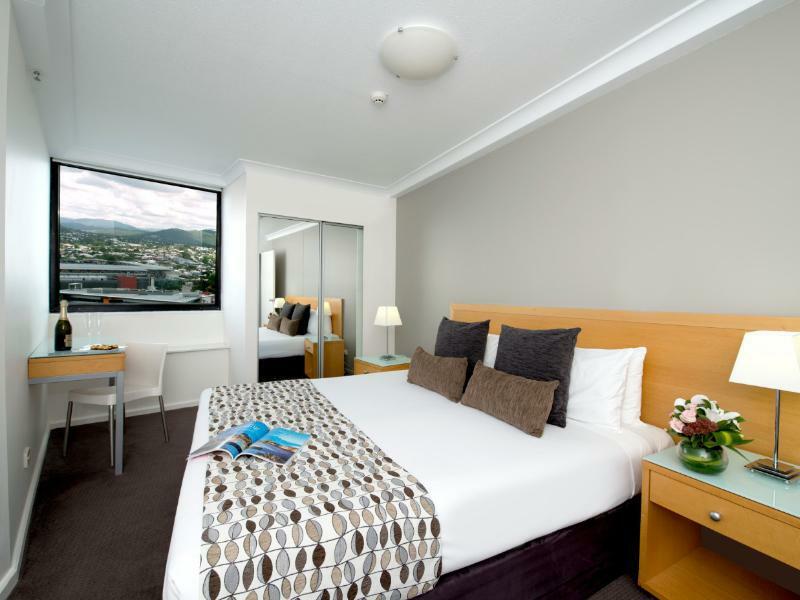 Convenient walking distance towards Brisbane Convention and Exhibition Centre and South Bank! Will definitely book again! 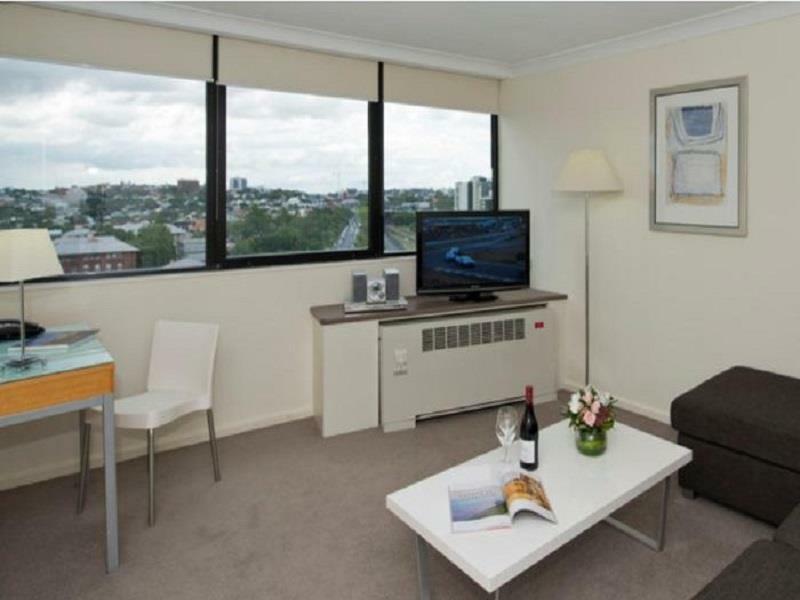 Everything was excellent from a easy check in to the value of the room, excellent views, spacious one bedroom apartment, 5min walk to Roma Street station, 15min easy walk to CBD or Southbank and 15min walk the other way to Suncorp stadium. Can’t recommend Park Regis North Quay enough!! This is a potential hotel. Nice location to Roma street station. Requested for high floor but was disappointed to be given lower floor. However, the view facing the brisbane river was nice tho. The only thing, we rated low was the staff performance. In general, the staff were lacking of smile and friendliness. Esp the staff who worked on check in time. We seriously didn't feel warm 'welcome' to be back to hotel each time despite the weather was fairly warm and welcoming! 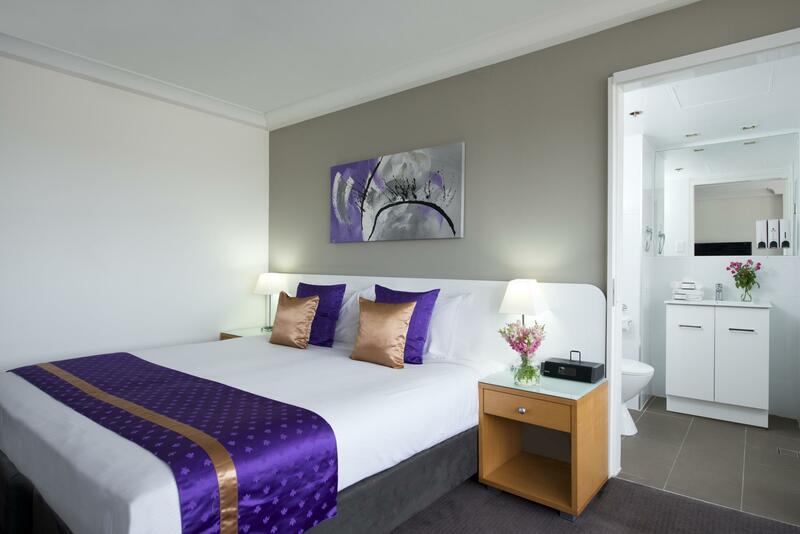 I would choose to stay at another hotel next time when I come back to brisbane. Only 250MB complimentary wifi daily was given to the guest compared the gold coast hotel that I stayed and offered me unlimited complimentary wifi. Short walk to Brisbane transit centre and to the city centre. Maggie was the staff that checked us in and if I’m honest she made me feel the least welcome in 30 years of travel. Park Regis location was great for Suncorp stadium. The lounge and bedroom was clean and tidy. But the bathroom could have done with some mould remover. Experience was ok. I wouldn’t stay there again. Booked as heading stated children under 5 stay free.... should have read the fine print that said if sleeping in existing bedding (1 king bed in the room) $65 a night for an extra bed or to use the existing sofa bed in the room. Rang before booking to confirm onsite parking available, was not told until checkin that it is subject to availability went to pull in 1 night and the car park was full (also wouldn't want to try park a large car under there) no room service available and no take away menu for the onsite restaurant. Kitchen facilities in room was very limited and no laundry in the room. Best think about the stay was it was close to the city and the bed was very comfy. 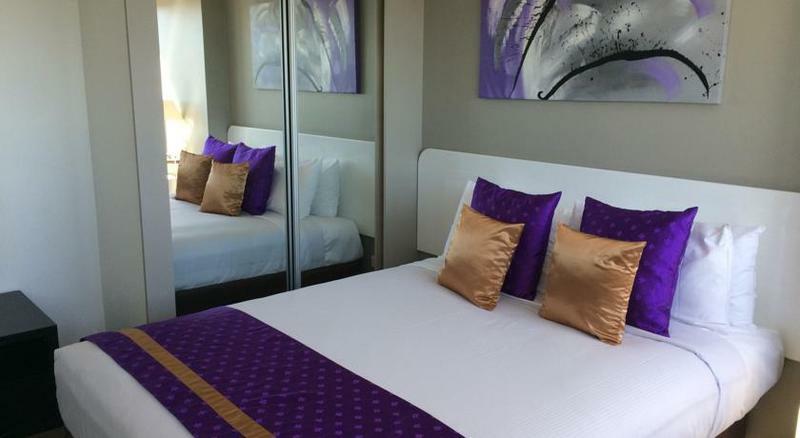 Great location only 5 minute walk to Brisbane CBD and Suncorp Stadium. Room was spacious with an amazing view of the river. Staff were very helpful and friendly. The location was good. The apartment was not very new but spacious. The bed was very comfortable. One of two lifts was under repair/renovation so only one lift was operating and it took so long to come down to the ground floor. Only thing I was quite concerned is there's only one lock and the housekeeping just came into our room without waiting for our answer. The reception staff at the Park Regis North Quay were fantastic. Very helpful and had a great lobby and useful train schedule. They stored our bags and were full of great suggestions and very courteous and helpful. Looking forward to staying again next. Was great to only have a 5 minute walk to Suncorp stadium. We made reservations at the Park Regis for our birthday weekend in a dual key 2 bedroom apartment, which consists of a one bedroom apt and a studio apt with river views. 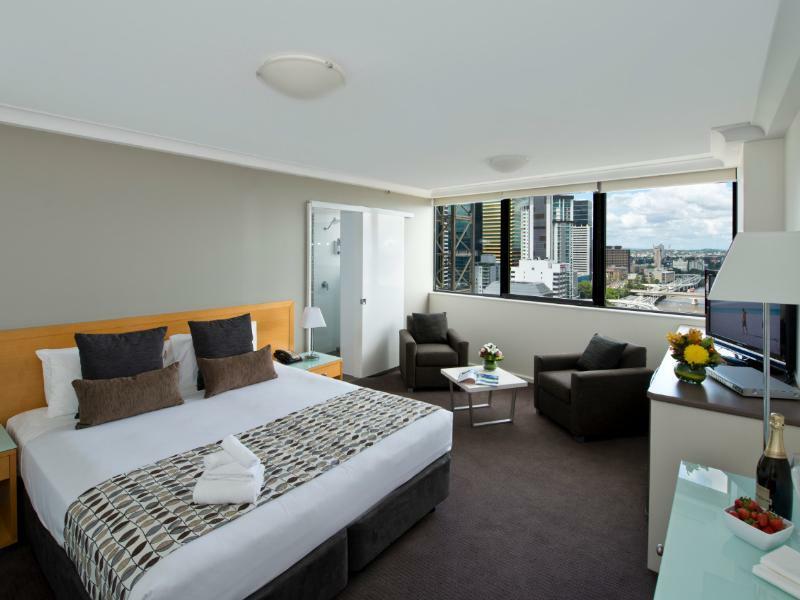 The king bed was so comfortable, the bathroom equiped with free toiletries and the views amazing of the city, the Brisbane River, Southbank, especially when viewing it from the 19th floor. The staff are friendly and the hotel very clean. I love the location to the train station, SouthBank, the CBD, Suncorp Stadium and The Barracks. The location of this motel is excellent. It is on the Brisbane River so the view is great. It is close to the city mall and other restaurants, bars and pubs. The only down side is the parking. It costs $27 per car per night and the driveway through the park is really narrow and the parks are two. Very difficult to manoeuvre a large vehicle like a Holden Colorado, Toyota Land Cruiser etc. I stayed here for two nights. It was close to Roma St station, but around a kilometre from the centre of the city. The 1 bedroom apartment was quite roomy with an small kitchen. There was some free wi-fi up to 250MB per day which was good. The gym equipment was a bit old and could need some updating. Fine apart from a money grab for parking ...that is shown as included on the list of facilities.....and I booked a room INCLUDING breakfast... then to arrive at breakfast and requested to pay for it.... then when I told them it was included and on my voucher, they said don't worry it was not included but we'll give you a complimentary breakfast... so I had to go to the trouble of getting my voucher and showing them..... still they claimed it wasn't included,, !! very frustrating..... and the breakfast was crap !!! then they again asked me to pay $27 for parking ... the second time I had to tell them it was shown as included on their Agoda page !! Very arrogant attitude !! Second stay due to the ideal location. 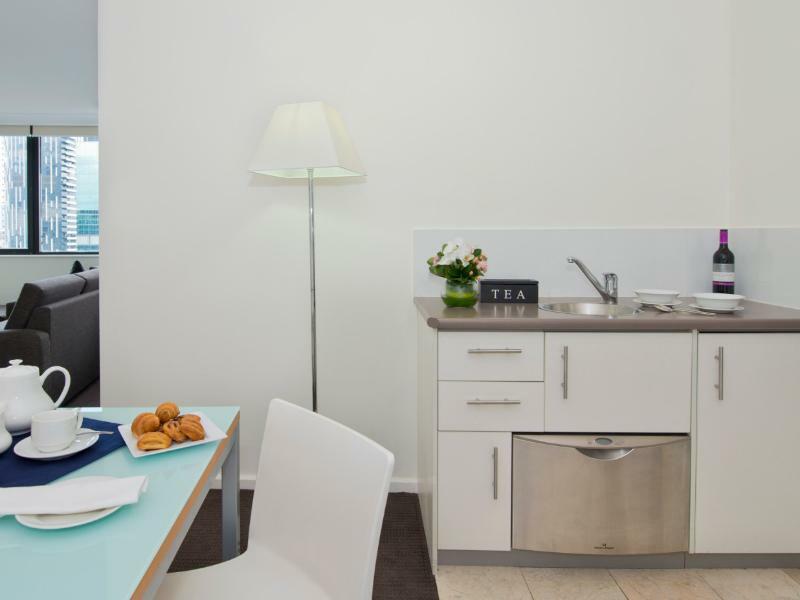 The rooms are spacious and well equipped for a short stay. There are great views of the river. The staff are polite and helpful. Good taxi service located right next door. The gym is well equipped and the pool outside is small but refreshing although the building shadow covers the deck early. Only complaint would be exhorbitant prices of the fridge items. Even the bottles of water are charged; no complimentary bottles. The view, the two TVs, the shower, soap, shaving dispensers. IT was good, the couches and sofas were comfy and the dinner table was nice, it was clean and nothing was wrong with the hotel. But bed and mattress in the middle was rising up like a bump that needs to be checked out. Great view great kitchen and lovely atmosphere.